Thanks to the Association of Professional Archaeologists of New Brunswick and their recent paper at the 2018 CAAs in Winnnipeg we now have New Brunswick data permit data from 2006-2016. The APANB provided us with the raw data they received from the New Brunswick through a Right to Information and Protection of Privacy Act (RTIPPA) request in 2017. The APANB's paper addressed commercial archaeologists' response to increasing government participation in commercial practice, not just as regulators but as service delivery providers. The raw data raises interesting questions about any lines between government as regulator and government as consultant. It echoes some the earliest manifestations of CRM field work conducted directly by provincial archaeologists in Ontario, BC and elsewhere in the 1960s and 1970s. In those days government archaeologists weren't directly competing with commercial archaeologists on anywhere near the scale they would be today. 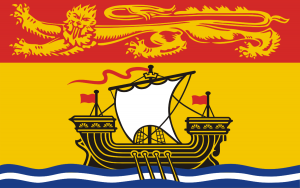 We hope the APANB and the New Brunswick government will share news of this developing model and relate effects on commercial practice and the regulatory regime in the province.